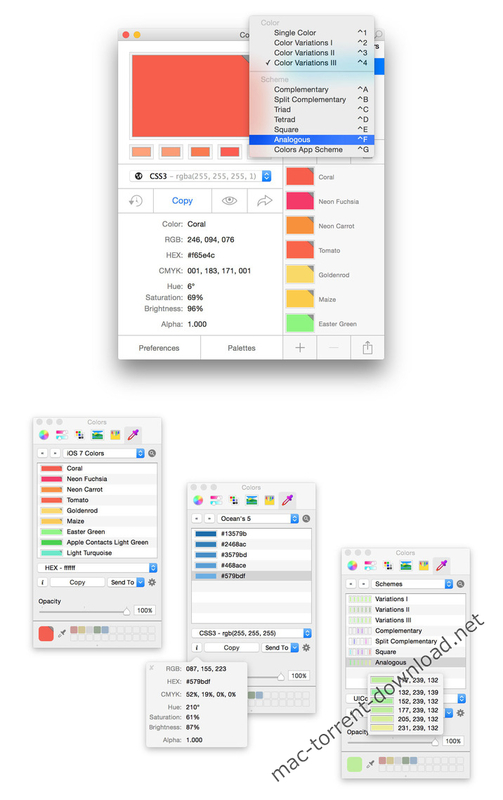 Colors PRO is a color picker, color scheme, and color palette tool. Colors PRO comes bundled with a Color Picker Plugin. Once enabled, you can access all your colors, palettes, and schemes you’ve created and stored within the main Color application from within any supported app like, for example, Pages, Pixelmator, Sketch, Xcode, or Photoshop. It’s like Tangerine, just better.